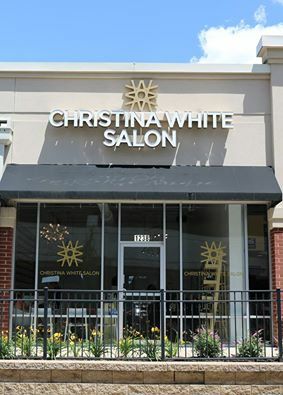 Christina White Salon is a high end boutique salon centrally located right off of highway 40/64 and Hanely Rd in Brentwood, Missouri. We specialize in several methods of extensions, keratin treatments, balayage and color applications. My staff of expert stylists make sure your experience is professional, safe, and quick while providing education and products to care for your hair at home. Christina White Salon provides free Wi-Fi and printing services for the business professional that wants to optimize their time during their service, especially for our clients that spend over three hours at an appointment, you can still get your work done and leave with fabulous hair. Feel free to bring your laptop, or just sit back and relax. Be sure to ask your stylist about the Gold Club to save 5%-10% on your products and services. Thank you for visiting our website. I hope to see you soon at the salon!